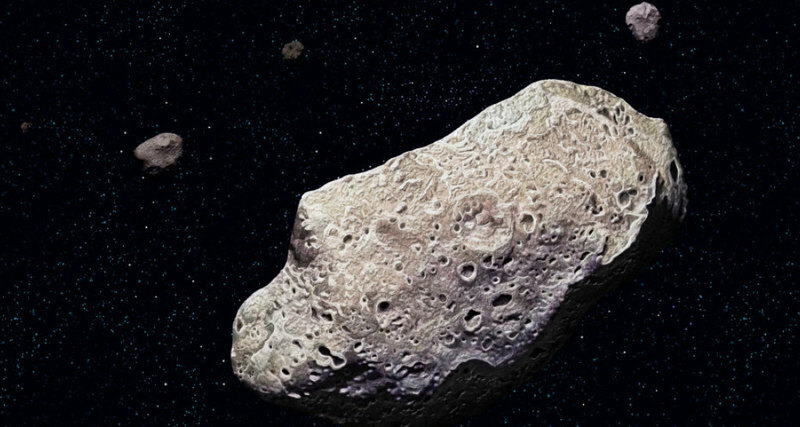 An analysis of the data collected by the Akari space infrared telescope suggests that chemically bound water is present in a significant portion of the asteroids located in the solar system. Akari is a space telescope operating from 2006 to 2011 in the infrared. His main task was to compile a high-precision infrared map of the sky. The study of the asteroids of the solar system, in general, the purpose of the mission was not, but they periodically came into view. Among the properties of water is the ability to form a specific class of substances – hydrates, in which water is either in a “finished form” – as H2O, or as a hydroxyl group – OH, and is released when heated. These may be hydrates of various substances, and extreme conditions are usually not necessary for their formation. Hydrates absorb electromagnetic radiation with a wavelength of 2.7 micrometers, so the absorption band at this place is a reliable indicator of their presence. Unfortunately, we cannot observe it from the Earth – the radiation at this frequency is completely shielded by water vapor, which is always and everywhere in the atmosphere. But you can look at this picture from space. Objects of study “Akari” steel 66 asteroids. Observations found absorption, which was attributed to hydrated minerals for 17 class C asteroids. Scientists have previously suspected that such asteroids, which appear dark in the optical range, are rich in water and organic matter, but current observations with AKARI are the first to confirm the presence hydrated minerals on these asteroids. For details, see the article published in the Publications of the Astronomycal Society of Japan.